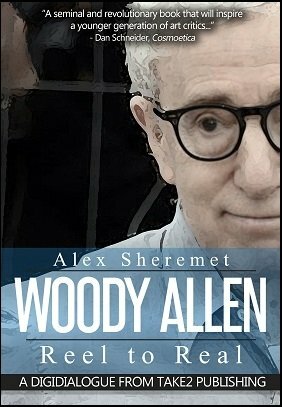 Although Woody Allen’s Manhattan is one of cinema’s best and most-loved films, it also among the most misunderstood. This is probably because there is such a disconnect between the film’s stunning and romantic imagery, and the way the characters actually behave on-screen. 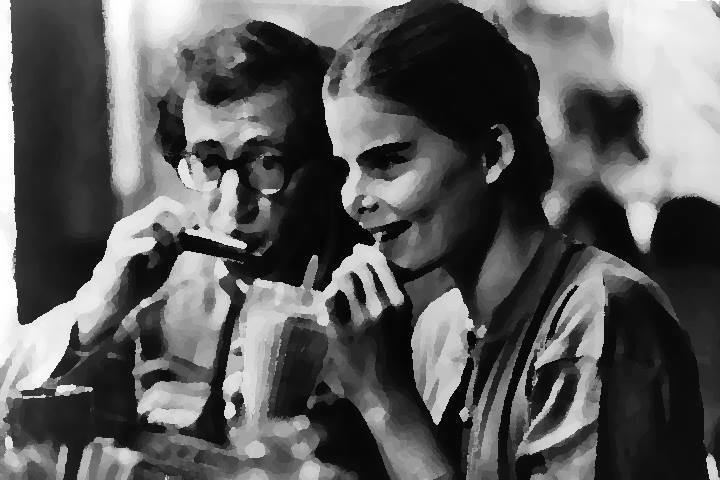 Often, it’s been called a “love letter” to New York, or what’s worse, a “love poem,” but it’s really an excoriation of Isaac Davis (Woody Allen) and the projection of his ideals, which are incongruently set against all that’s beautiful and lush. It is quite an effective device, for it makes the film seem to be about one thing, yet completely undermines the genre tropes that other superficially similar works are so dependent on, even as the black and white cinematography of the great Gordon Willis seems to ‘pretend’ otherwise. Not wasting any time, Woody makes this apparent from the very first shot, in which Isaac is busy at his book. Yes, it’s a ‘romantic’ trope, in the sense that Isaac is a man in love with his city, and trying to write, but is marred by the fact that he simply cannot express one well-articulated thought. 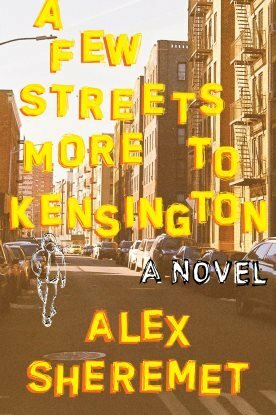 At end, he settles on this line: “‘He was as tough and romantic as the city he loved. Behind his black-rimmed glasses was the coiled sexual power of a jungle cat.’ I love this. ‘New York was his town and it always would be.’” This is not exactly good writing, and flies in the face of a later scene where he up and quits his job so he could stop writing crap television, and work on something “serious” and worthwhile instead. Clearly it is not, and despite being one of the most-quoted parts of the film, there is an irony, a futility, here, that most viewers do not catch. The stunning visuals of fireworks are celebratory, but of what? Probably of Isaac’s feelings and ideals, which are repeatedly shown to have little to do with reality, not only of the outside world, but of his internal life, as well, which is as false and self-congratulatory as anything he critiques. This gives Manhattan a special place in cinema, even as, thirty-five years later, it continues to outshine films that, while inspired by Woody’s, are restricted by the genre conventions he absolutely defies.